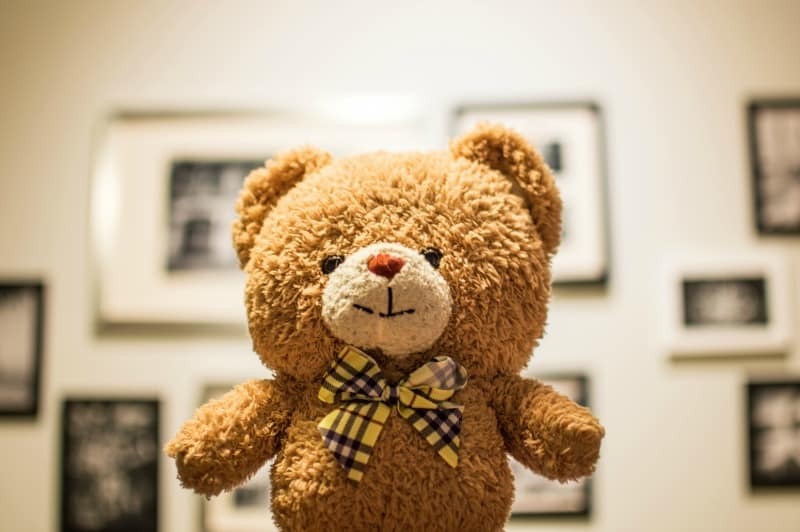 Given the amount of love and face-to-face time that children devote to their favorite soft toys, knowing how to wash stuffed animals is vital to keep them smelling fresh and safe for snuggling. 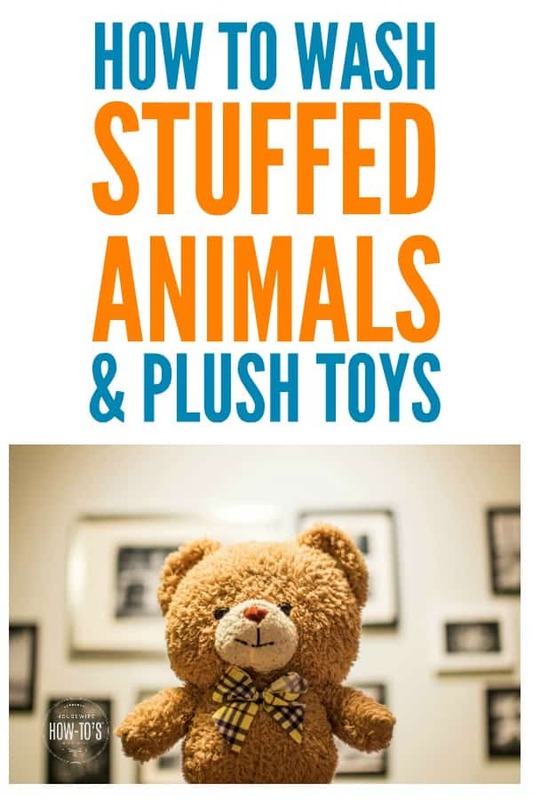 In the machine: Place the stuffed animal in a small mesh laundry bag or pillowcase. Use a separate one for each item to keep them from rubbing together and damaging their fabric coverings. Since hot or warm water could damage the glue used to reinforce seams and attach decorations, use a COLD wash and rinse cycle with 1/2 the usual amount of detergent. Run them through a second rinse cycle to get all the suds out then remove them from the mesh bags. In the sink: Fill the basin halfway with cold water and add two tablespoons laundry detergent. Swirl to mix. Gently submerge the toy and, using your hands, squeeze the soapy water throughout. Use your fingers to rub any particularly soiled or stained areas gently. Drain the sink, squeeze as much water out of the thing as you can, then refill with cold water. Submerge the toy again and press it repeatedly to remove detergent residue. Drain, rinse and repeat until all the suds are gone. To dry: The dryer’s heat is harmful to soft toys, so they must be air-dried instead. To remove excess water and speed drying time, wrap the toy in a clean hand towel and gently squeeze, changing towels as needed to remove as much water as possible. Fluff the fur with your fingers then place the item on a flat drying rack above a thick sheet and allow it to air-dry. Turn every few hours to ensure even drying. Use an old, clean toothbrush to comb it and restore texture. Most toys that can’t be submerged in water can still handle a general cleaning. It’s also a good idea to give soft toys a general cleaning every few weeks to keep them from getting grimy and smelling bad. Dust and vacuum: Pour a cup of baking soda into a large plastic bag. Insert one toy at a time, shaking the bag vigorously, so the toy gets covered with the baking soda. Remove the item and let it sit for a few hours as the baking soda absorbs odors and greasy dirt. Vacuum the toys with your machine’s dust attachment to remove any remaining powder. Spot clean: It’s always a good idea to check an inconspicuous spot for colorfastness first. If it’s color safe, mix one teaspoon liquid dish detergent in 1 cup warm water. Use a white cotton cloth (so you aren’t transferring dye from the rag to the toy) to lightly clean dirty areas. Rinse your cloth and repeat until the toy is clean. Let air dry.